The metal copper is named after Cyprus. Romans received their copper from Cyprus. In Latin it was called aes Cyprium- the 'metal of Cyprus', shortened to cyprium and then corrupted to cuprum. The ancient Greek word for copper is chalkos. ca. 8.500: Possible first human settlement by epipalaeolithic hunters and gatherers at Aetokremnos. ca. 7000: Settlement of the island by Neolithic farmers from the Levant (PPN B) who introduced domesticated wheat, cattle, sheep, goats, dogs and fallow deer, wild foxes and tamed cats. 1600-1050: Late Bronze Age, First use of The Cypriot syllabic script in (LCIB). 1300-1200 BC Late Cypriot (LC) IIC, local prosperity, re-building of cities. 1100-1050: latest bronze Age (LCIIIB,), introduction of a a new type of grave, Mycenean influences in pottery decoration, interpreted by some as an invasion from the Greek mainland. 709: Assyrian conquest of Cyprus by king Sargon II (721-705 BC) of Assyria. 570: conquest by the Egyptians under Amasis. around 500: first Cypriote coins, using the Persian weight system. 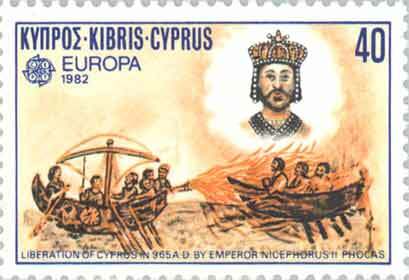 499: Kingdoms of Cyprus take part in the Ionian rising under Onesilos of Salamis. defeat of the Cypriote kings, re-conquest of the island. Around 450: increased importance of Kition. 411 The Teucrid Evagoras I regains the throne of Salamis. around 400: Evagoras attempts an independent rule oy Cyprus with Athenian help. 386: treaty of Antakidas, Persian rule over Cyprus accepted by Athens. 350 Cypriote rebellion, crushed by Artaxerxes in 344. 351-332 Pnythagoras of Salamis and other Cypriote kings go over to Alexander during the siege of Tyre. 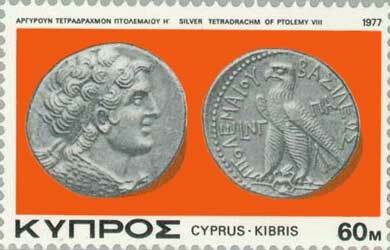 310-306 Menelaos is made satrap of Cyprus. 109 BC Alexander the brother of Ptolemy sent to Cyprus by his mother Cleopatra. 107 BC Alexander returns from Cyprus and is made king of Egypt. Ptolemy campaigns in Palestine. 58 BC Cyprus becomes a Roman province. 51 BC Cyprus placed under the rule of Cleopatra by Julius Caesar. 30 BC Cyprus reverts to Roman rule. 115-116 AD A messianic Jewish revolt results in the massacre of 240,000 Cypriots. Trajan intervenes to restore the peace and expels the Jews from Cyprus. 335 The revolt of the usurper Calocaerus is omated by Flavius Dalmatius. c.350 AD Salamis is rebuilt by Constantius II the son of Constantine after being destroyed by earthquakes and is renamed Constantia. 395 AD Cyprus becomes part of the Byzantine Empire. 649 The Arabs invade and pillage Cyprus sacking the city of Salamis. 654 The Arabs invade Cyprus again and occupy it with a garrison of 20,000 men. 683 The Arab garrison is withdrawn after the Arabs are defeated by Constantine IV. 688 Cyprus is declared neutral. 1191 Richard the Lionheart sacks Famagousta and sells Cyprus to the Knights Templar. 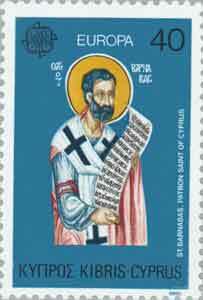 1192 The Knights Templar sell Cyprus to Guy de Lusignan, the exiled king of Jerusalem. 1194 Amaury introduces a feudal system to Cyprus. 1489 The Venetians take control of Cyprus and the Greek Orthodox Church is given full religious freedom. 1570 The Ottomans invade Cyprus. Famagusta is held under siege. 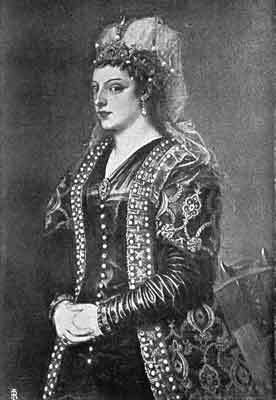 Cornaro, Caterina. (Queen of Cyprus) 25 November 1454-10 July 1510, Singleton, Esther, ed. Famous Women Described by Great Writers. New York: Dodd, Mead & Company, 1907. 1571 The Ottomans take Famagusta, Cyprus becomes a part of the Ottoman Empire. 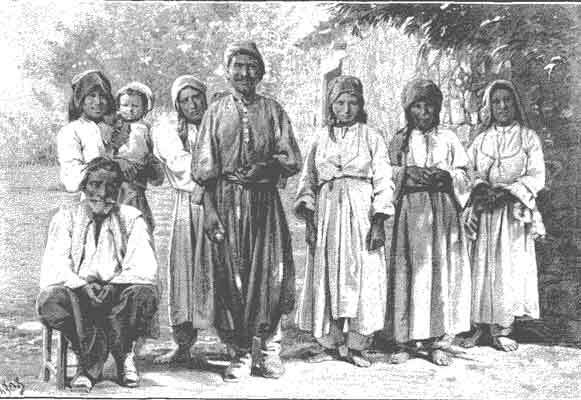 1821 Greek Cypriots side with Greece in a revolt against Turkish rule. The island's leading churchmen are executed as punishment. 20,000 Christians flee the island. 1869 The Suez Canal opens. Following the Ottoman Empires defeat in World War I, Cyprus was annexed by Britain in 1925 and made a crown colony. Between 1955-59 EOKA was created by Greek Cypriots and led by George Grivas which targeted mainly British but also Turkish Cypriots and leftist Greeks at a smaller scale, in a campaign of violence to perform enosis (union of the island with Greece). However the EOKA campaign did not result union with Greece but rather an independent republic, The Republic of Cyprus, with two communal chambers in 1960. 1878-1960: British occupation. The British take over the administration of the island, ceded by the Ottomans, for its strategic value, to protect their sea route to India via the Suez Canal. In exchange, Britain agrees to help Turkey against future Russian attacks. 1914: Cyprus is annexed by Britain when Turkey joins with Germany and Austro-Hungary in World War I. 1925: Cyprus becomes a British Crown Colony. 1931: First serious riots of Greek Cypriots demanding Enosis, the union with Greece. The government-house in Nikosia is burned down and martial law is declared afterwards and the legislative council is abolished. The display of the Greek flag and the Greek National anthem were banned. 1939: Greek Cypriots fight with the British in World War II, but remain set on Enosis after the war is over. The Turkish Cypriots, however want the British rule to continue. 1950: Archbishop Makarios III is elected as political and spiritual leader. Makarios becomes the head of the autocephalous Cypriot Orthodox Church and heads the campaign for Enosis with the support of Greece. 1955: A series of bomb attacks starts a violent campaign for Enosis by EOKA (National Organisation of Cypriot Fighters) led by George Grivas, an ex-colonel in Greek army, born in Cyprus. Grivas takes name of Dighenis, legendary Cypriot hero and conducts guerrilla warfare from a secret hideout in the Troodos Mountains. He is estimated to have 300 men at maximum, yet successfully plagues 20,000 British troops and 4,500 police. 1956: Britain deports Makarios to the Seychelles in attempt to quell the revolt. 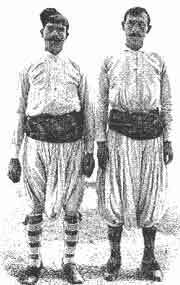 Turkish Cypriots are used as auxiliaries of British Security Forces, and become one of the major targets of the EOKA. 1957: Field Marshal Sir John Harding is replaced by the civilian governor Sir Hugh Foot in a conciliatory move. 1958: Turkish Cypriots are alarmed by British conciliation and begin demands for partition. There are inter-communal clashes and attacks on British. The 1960 constituion carried important safeguards for the participation of Turkish Cypriots to the state affairs, like vice-president being Turkish Cypriot, 30% of parliament being Turkish Cypriot, etc. Archbishop Makarios would be the President and Dr Fazil Kucuk would become Vice President. One of the articles in the constitution was the creation of separate local municipalities so that Greek and Turkish Cypriots could manage their own municipalities in the big towns. This article of the constitution has never been implemented by the Republic and president Archbishop Makarios. In response to the Greek-backed coup Turkey invaded the island in 1974 and seized the northern third of the island, Turkish Cypriots in the south would travel north and Greek Cypriots in the north would move south. The de facto state of northern Cyprus was proclaimed in 1975 under the name "Turkish Federated State of Northern Cyprus". The name was changed to its present form on 15 November 1983. The only country to formally recognise The Turkish Republic of Northern Cyprus is Turkey. Turkey and the TRNC refer to the southern Republic of Cyprus as the "Greek Cypriot Administration of Southern Cyprus" and refuse formal recognition. 1960: British, Greek and Turkish governments sign a Treaty of Guarantee to provide for an independent Cypriot state within the Commonwealth and allowing for the retention of two Sovereign Base Areas of Dhekelia and Akrotiri. Under the treaty, each power has the right to take military action in the face of any threat to the constitution. Cyprus becomes independent of foreign rule. Archbishop Makarios, (Greek Cypriot) becomes the first President, Dr Kutchuk (Turkish Cypriot) Vice-President. Both have the right of veto. Turkish Cypriots, who form 18% of the population, are guaranteed vice-presidency, three out of ten ministerial posts and 30% of jobs in the public service, 40% in the army and separate municipal services in the five major towns. Overall, a very complex constitution is drafted, including a lot of decisions to be taken by majority of votes overall as well as within each community. 1963-1973: Greek Cypriots view the constitution as unworkable and propose changes abolishing all veto rights and many ethnic clauses; these proposals are rejected by Turkish Cypriots and the Turkish government. Inter-communal fighting errupts. A UN Peace Keeping Force is sent in, but is powerless to prevent incidents. Under intimidation from the Turkish backed TMT terrorist organisation thousands of Turkish Cypriots move into enclaves and isolate themselves, thus depriving the Greek Cypriots of rent for the properties they formerly occupied and labour. According to other sources, Turkish inhabitants are forced into the enclaves by pro-Greek nationalists and forcibly isolated there for several month. The UN moves in to supply them with food. 1974: On 15 July the military government (junta) in Greece with the support of the CIA and American national security advisor Henry Kissinger orders a coup by the Greek National guard to overthrow Makarios who they see as being too pro-Russian. Makarios is forced to flee to the British base. A puppet regime is imposed under Nicos Sampson, a former EOKA fighter and paid CIA operative. Five days after the coup on 20 July Turkey invades Cyprus and captures 3% of the islands territory around the town of Kyrenia, driving out the Greek Cypriot population. Three days later the coup is put down and democracy is restored. On 14 August after UN talks break down it lands 40,000 troops on the north coast. 200,000 Greek Cypriots Flee to the South, while turkish Cypriots are forced to leave their homes in the South. Turkish forces are left in control of 37% of the island. Facing threats from Turkey the United Nations and the Cyprus government agree to allow the Turkish Cypriots living in the free areas to be transferred by the UN and British SBA authorities to the occupied north against their will. 1975: Turks announce a Federate State in the north, with Rauf Denktaş as leader. UN Forces stay as buffer between the two zones. 1976: The European Commission of Human Rights finds Turkey guilty of massive and systematic human rights violations against the Greek Cypriots during and after its invasion of Cyprus. 1977: Makarios dies, having been restored as President of Greek Cyprus after 1974. He is succeeded by Spyros Kyprianou. 1983: The Turkish Federated State declares itself independent as the Turkish Republic of Northern Cyprus (TRNC), with Denktaş as President. The new state is not recognised by any country except Turkey and officially boycotted. 1992-1995: UN sponsored talks between the two sides run into the sand, but with a commitment to resume. 2001: The European Court of Human Rights finds Turkey guilty of continuing human rights violations against the Greek Cypriots, and the Turkish Cypriots also. 2003: Cyprus is set to join the European Community in May 2004. Renewed negotiations about the status of the island take place. On 23 April 2003, the borders between the two parts of Cyprus were partly opened. Thousands of Turkish and Greek Cypriots cross the border to the "other side" after 30 years. 24 April 2004 The Annan Plan for unification under a system of apartheid is rejected by the mayority of Greek Cypriots in a bipartisan referendum. Cyprus as a whole joins the EU on 1 May but the EU acquis is suspended in the occupied north. Greek historians have constructed a history of Cyprus that includes many mythological elements, but may contain valuable information on the early history of some local dynasties. 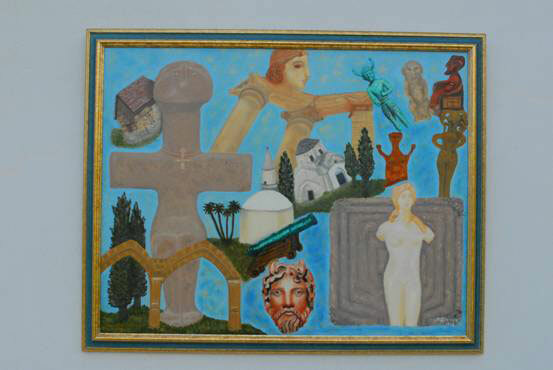 See Ancient Greek History of Cyprus. C. Spyridiakis, The education policy of the English government in Cyprus (1878-1954). Cyprus - an island divided - Interactive guide from The Guardian beginning with the Turkish invasion of 1974.